The CathexisVision Integration Feature provides a powerful enhancement to the world-class, feature-rich CathexisVision Video Surveillance Management Software. CathexisVision goes beyond surveillance to offer the most sophisticated and fully integrated infrastructure and security management system that delivers maximum return on surveillance investment. Seamless third party systems integration, easy installation and exceptional ease-of-use have made CathexisVision the preferred surveillance software solution for the global market sectors, including: retail, banking, mining, education, residential, commercial, healthcare, transport, logistics, city surveillance and many others. At Cathexis Technologies, we believe that any system transaction or event can be enhanced by the association of synchronised video. Because we believe this so strongly, integration has become one of the major differentiating features of CathexisVision. Integrations include: Access Control, Alarm Panels, Fire Panels, Analytics, Building Management Systems and so much more. This seamless integration provides an extremely powerful single-user interface and is enhanced by video verification of events that occur, as well as rules based events that can be initiated from event data. The integration provides a dramatically enhanced control room environment by improving efficiency and effectiveness. 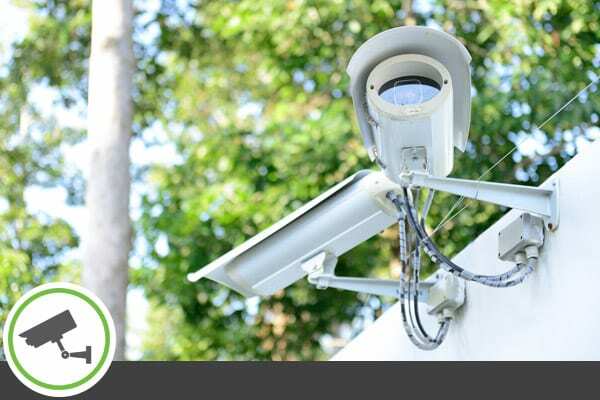 Integration enables the system to guide the CCTV operators to specific cameras associated with third party systems events, speeding up response times and resultant efficiency. Imagine control room operators having their world greatly enhanced by having the system automatically choosing cameras for them to view based on events or alarms from Access Control Systems, Alarm Panels, Fence Monitoring Systems and the like. Once the benefts have been experienced, their world without integration is almost unimaginable. Full support and compatibility with over 300 of the world’s most popular IP camera brands. The Application Programming Interface (API) provides for added functionality and more contemporary HTTP/RTSP/SIP protocol. API provides a user-friendly solution to interface third-party systems, including: Building Management Systems, Physical Security Information System (PSIM) and Situational Awareness Platforms. An impressive portfolio of integration’s with the world’s leading suppliers of IP Cameras, Access Control, Alarm Panels, Automatic Number Plate Recognition, Counters, Environmental Monitoring, Fence Management, Fire Panels, IO Devices, Point of Sale, Video Analytics, and Weighbridges. Receive and log transactions from third party systems. Associate one or more cameras with the transaction node ( For example: Access Control Door, Alarm Panel Zone). Mine the transaction database via a series of smart filters in order to retrieve transaction data and associated video footage, both locally and remotely. Create events and associated actions based on specific system transactions. Switch a camera to a selected monitor (or panel) on a video wall. Send an email or SMS with event information. Send an alarm to a local or remote command center or control room. Play a pre-selected audio message. Display an event related notification on a map. Record video to a selected database. Cathexis has integrated numerous Access Control Systems, which have successfully been implemented on a global scale. The major benefits provided by the Access Control integration is ability to associate Access Control Doors with selected video footage in a searchable database including the Fast-Track Feature, which enables the user to follow selected people through multiple doors. This provides for the capability to record selected cameras and generate.Cameras can be automatically switched to monitors so that the control room operators do not have to guess which cameras to view depending on the specific event received. And the database enables an easy search function to find specific alarms and the associated video footage. Fence monitoring systems typically have multiple “zones” set up on the fences around a perimeter. One of the problems for control room operators is knowing which cameras to look at once a fence “zone” alarm has been received. An integrated solution will increase the efficiency of the control room environment by automatically displaying one or more surveillance cameras associated with the specific fence zone, dramatically enhancing the control room environment. A fire alarm is generally associated with a sense of urgency where decisions need to be taken accurately and quickly. In large buildings, there may be hundreds of smoke detectors and other fire detection devices, and there may also be hundreds of surveillance cameras. An integrated solution enables the control room operators to view cameras at the location from where the fire alert was initiated as they can be automatically selected by the system for viewing by the operator, which adds huge value, especially in a time of stress, where decisions can lead to saving lives..
Money counter integration has been used successfully for Banking and CIT (Cash-In-transit) customers. It is well known that there is often collusion between till operators and shoplifters. This is called “sweet-hearting”, and involves a “shopper” arriving at the till point with a high-value item which is then scanned by their “buddy” or “sweetheart” with a different, low-value barcode. From the naked eye, the scan looks normal, but with synchronised video verification of the transaction, one can identify anomalies. 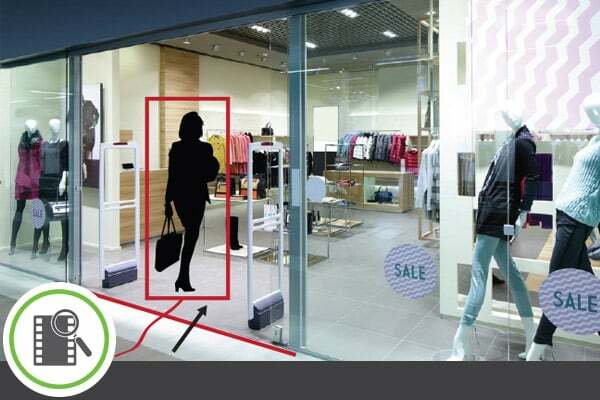 shrinkage are also easily identified via an integrated video/POS solution. Cathexis has many clients where weighbridges are used extensively to manage the distribution and sale of various vehicle payloads. Video verification of the weighbridge transaction can provide associated video and/or snapshots of License Plates, Payload and the driver for identification purposes. This makes it extremely easy to find a disputed or suspicious transaction and have the associated information at one’s fingertips. Used extensively for the logistics sector where there is a need to have video verification of all parcels scanned into and out of warehouses. Any dispute regarding a damaged parcel, or one that has missing goods can be easily resolved by searching the CathexisVision database for the barcode, and being automatically presented with the video associated with that specific barcode transaction. Environmental monitoring systems are usually utilised in data centers or any other application where “uptime” is critical. Events from these systems can be received by the CathexisVision system to create alerts to operators. While CathexisVision provides its own analytics suite, we realise that there are some requirements that may require a specialized analytics that we may not provide. In order to accommodate this, we provide an integration with the 3rd party analytics system to enable CathexisVision to receive alerts and take actions as outlined in the “Integration Capabilities” section on Page 3 of this document. Because we believe that any system transaction or event can be enhanced by the automatic association of synchronized video, we will continue to add integration options to our CathexisVision software.